Frakturs are elaborate illuminated folk art created by the Pennsylvania dutch between 1740 and 1860. They came in a variety of forms including birth, baptismal, marriage, and family certificates. 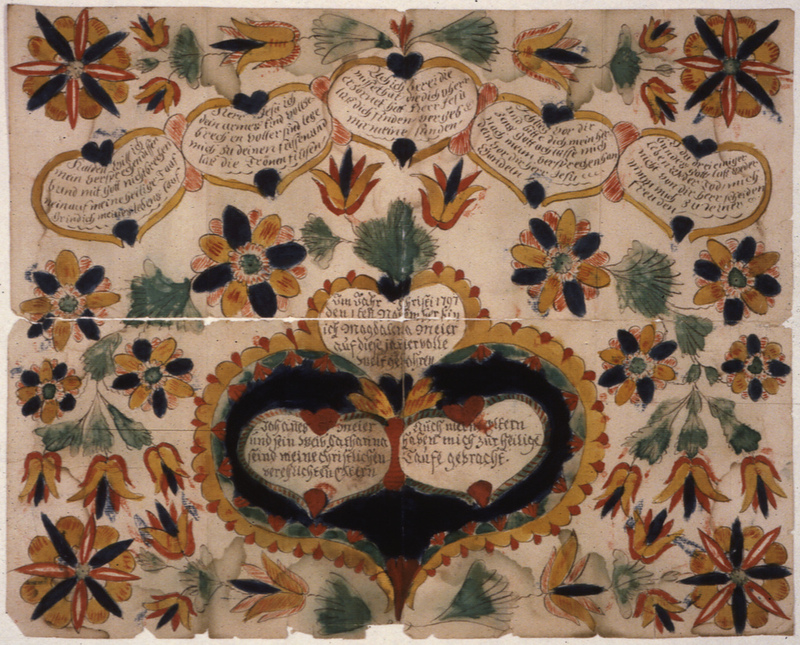 Common artistic motifs in Fraktur include birds, hearts, and tulips, as well as blackletter and italic calligraphy. In the wake of the Civil War, 1775-1783, many widows sought to claim pensions from the government. The frakturs displayed here are those that were sent to the government to prove their relation to the deceased soldier and support the widows' Revolutionary War Pension applications.